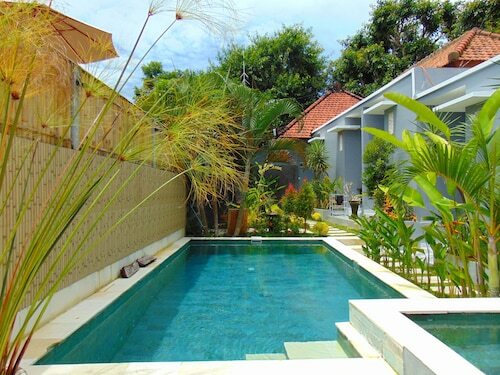 Situated in Pecatu, this bed & breakfast is within 1 mi (2 km) of Suluban Beach, Uluwatu, and Uluwatu Temple. Uluwatu Beach and Uluwatu Cliffs are also within 1 mi (2 km). 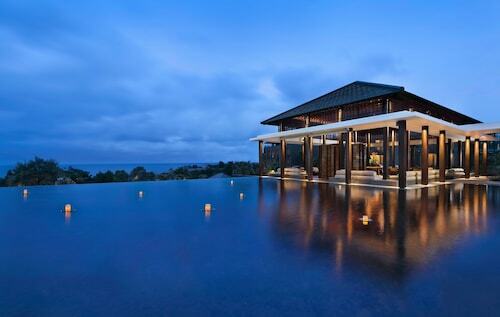 Situated near the beach, this hotel is within 1 mi (2 km) of Suluban Beach, Uluwatu, and Uluwatu Temple. Uluwatu Beach and Uluwatu Cliffs are also within 1 mi (2 km). 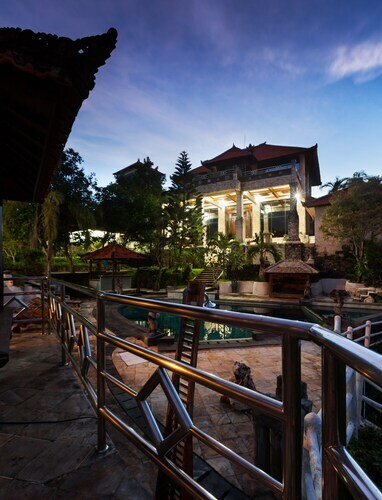 Situated in Pecatu, this guesthouse is within 1 mi (2 km) of Suluban Beach, Uluwatu, and Uluwatu Temple. Uluwatu Beach and Uluwatu Cliffs are also within 1 mi (2 km). 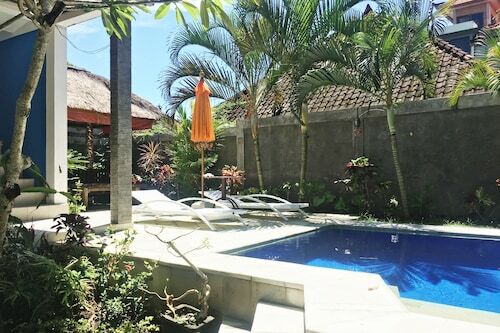 Situated near the beach, this guesthouse is within a 15-minute walk of Uluwatu, Uluwatu Temple, and Uluwatu Beach. Padang Padang Beach and Uluwatu Cliffs are also within 3 mi (5 km). 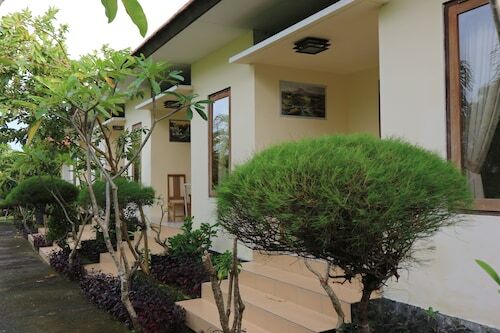 Situated near the beach, this guesthouse is within 1 mi (2 km) of Suluban Beach, Uluwatu, and Uluwatu Temple. Uluwatu Beach and Uluwatu Cliffs are also within 1 mi (2 km). 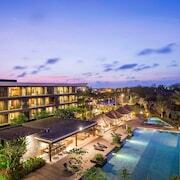 Situated in Pecatu, this hotel is within 1 mi (2 km) of Suluban Beach, Uluwatu, and Uluwatu Temple. Uluwatu Beach and Uluwatu Cliffs are also within 1 mi (2 km). 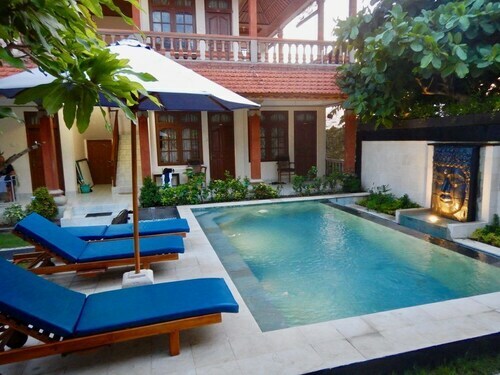 Situated near the beach, this guesthouse is within 1 mi (2 km) of Suluban Beach, Uluwatu, and Uluwatu Temple. Uluwatu Beach and Padang Padang Beach are also within 2 mi (3 km). 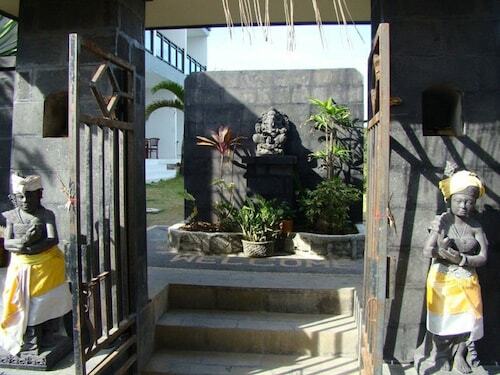 Situated near the beach, this hotel is within 1 mi (2 km) of Suluban Beach and Uluwatu. Uluwatu Temple and Uluwatu Beach are also within 2 mi (3 km). This family-friendly Pecatu villa is located by the ocean, just steps from Blue Point Beach and Uluwatu. Padang Padang Beach and Uluwatu Temple are also within 2 mi (3 km). Situated by the sea, this guesthouse is within 1 mi (2 km) of Blue Point Beach, Uluwatu, and Padang Padang Beach. Uluwatu Temple and Uluwatu Beach are also within 2 mi (3 km). 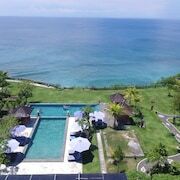 Situated by the sea, this hotel is within 1 mi (2 km) of Padang Beach, Uluwatu, and Padang Padang Beach. Uluwatu Temple and Uluwatu Beach are also within 2 mi (3 km). Want to know a little more about Uluwatu Beach before you book? Here are a few tips. It doesn't matter if it's your first trip to Pecatu or you've visited before, there's always something new to see. 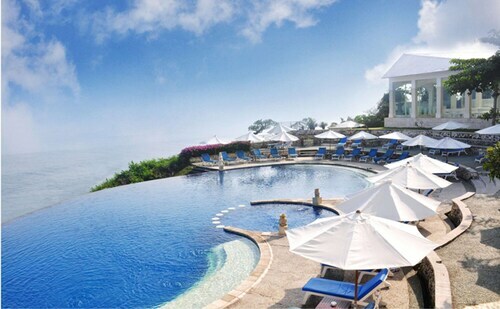 Organise to stay at one of the 24 hotels and apartments within 3 kilometres of Uluwatu Beach. 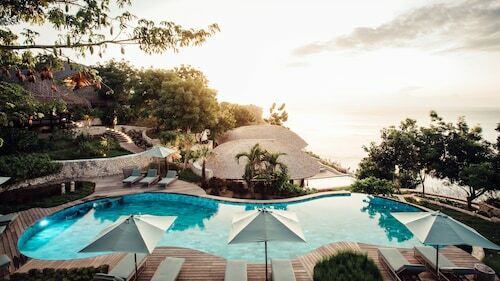 Recommended ones are the C151 Luxury Villas at Dreamland (3 kilometres), the Alila Villas Uluwatu (0.5 kilometres) and the Anantara Uluwatu Bali Resort (3 kilometres). Perhaps you'll like the snug atmosphere of Belong Bunter Homestay, a wallet-friendly hotel only 2 kilometres away. 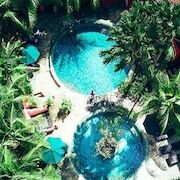 You cannot surpass the Blue Point Bay Villas and Spa for luxury and service. It's just 2 kilometres away. Warung Warung Uluwatu is a great spot to have a cuppa right near Uluwatu Beach. 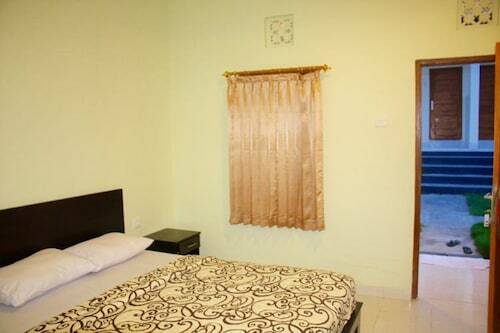 Conveniently located at Pecatu, it's just 0.1 kilometres away. If you're ready to fill your stomach, head to Warung bejana at Kawasan Wisata Luar Pura Uluwatu, Kuta Selatan, Badung, Jalan Raya Uluwatu Pecatu, Pecatu for lunch or dinner. Uluwatu Cliffs is a truly unforgettable vantage point where you can experience the memorable beauty of the country. Uluwatu Temple is a fantastic place to reflect upon the role of spirituality in society. Take a big breath of sea air at Suluban Beach, and let all your cares drift away. Nothing quite matches the joy of watching seabirds gliding on the breeze. Make sure you go to Padang Padang Beach. At Bingin Beach, the shores and ocean air await. So pack your sunnies, and head out to enjoy the views. How Much is a Hotel Room in Uluwatu Beach? 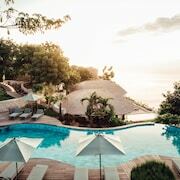 Hotels in Uluwatu Beach start at AU$24 per night. Prices and availability subject to change. Additional terms may apply.